Gary Dean Kittle was born February 22, 1948 to Emmett Paul and Ulah (Etter) Kittle in Chariton, Iowa. He passed away on Friday, June 22, 2018 at the Lucas County Health Center at 70 years of age. Gary graduated from high school in 1967. He enlisted in the United States Army on June 26, 1969. Gary served in the Army and was honorably discharged at the end of his service. He mainly lived in the Chariton area and had one son, Danny Kittle. Gary had a career in construction work as he enjoyed working with his hands and putting in an honest day’s work. 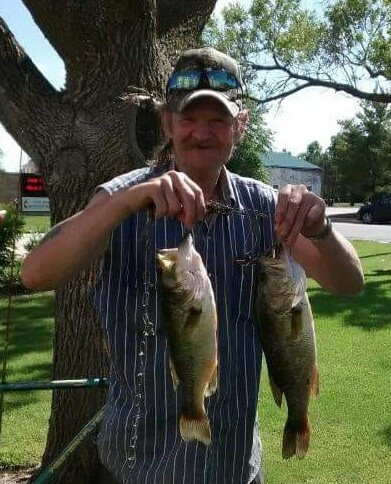 In his spare time he liked to hang out with his friends and go fishing. Gary was preceded in death by his parents, Paul and Ulah Kittle; He is survived by his brother, Kenneth Kittle of Russell, Iowa; his son, Dan Kittle of Davenport, Iowa; his grandchildren, Lydia and Vitali; and a host of nieces, nephews, and close family friends. Memorials may be directed towards the family.